Well..... my studio's Mac is in the hospital which has forced me to catch up on fall cleaning and getting the house ready for guests. 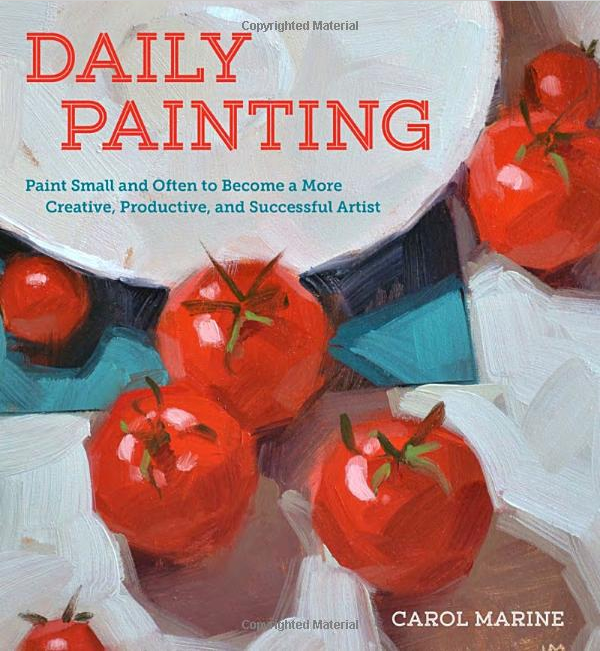 Also wanted to mention Carol Marine's book 'Daily Painting: Paint Small and Often To Become a More Creative, Productive, and Successful Artist'. Carol included a little bit about me, a few images of my paintings, along with more really great artists who contributed their thoughts and practices. I'm very proud to be included, thank you Carol Marine. You can order your copy from Amazon by clicking here. As for me, I'll be back to painting as soon as humanly possible. I've spent the last three days working on this new painting - all the while trying to find something to binge-watch after finishing Lost. I tried several and poo-pooed all of them before settling on The Walking Dead. Good one to paint to, I must say. 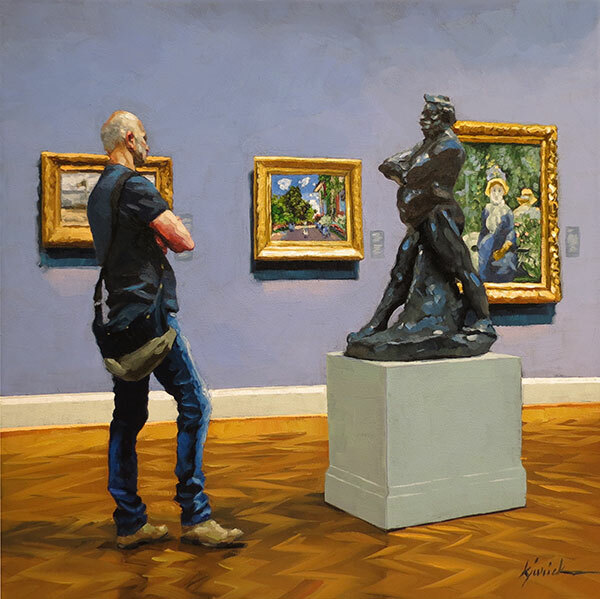 This moment happens more than you think - a viewer stands in front of Auguste Rodin's sculpture 'Portrait of Balzac' and naturally takes the same pose. Especially men. It's like a stand-off. 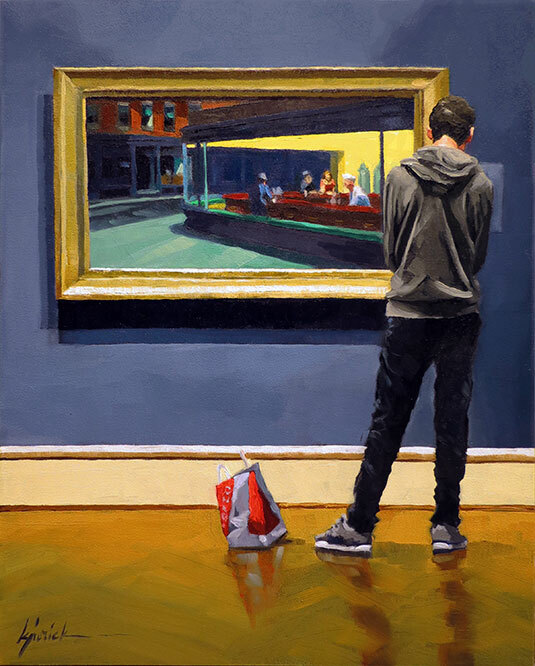 A new painting featuring one of my favorite paintings in the Art Institute of Chicago - Edward Hopper's 'Nighthawks'. On a bench that faces this Hopper, I sit and watch people's reactions and I swear, I want to shout out loud when someone passes it by without so much as a glance. "It's a MASTERPIECE!' I want to scream. There are those who stop and stare, those smart ones. Like this fellow, who dropped his bag to share my awe. 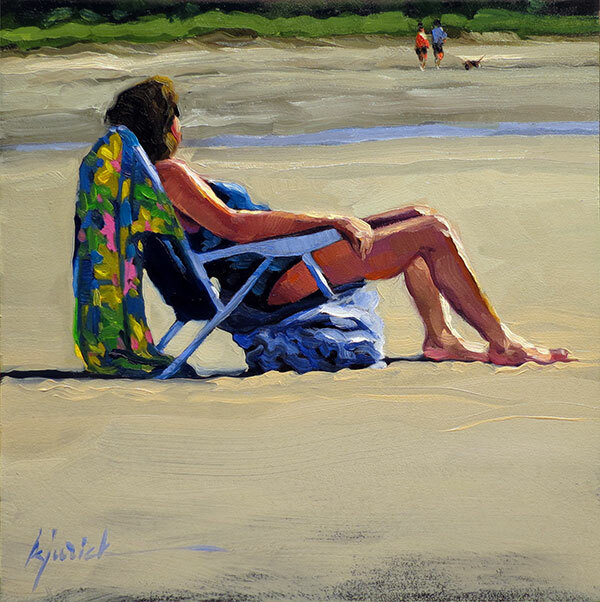 A woman choosing to be idle for the time being. From Hilton Head Island, South Carolina. I'm back from the dead. Mostly. I brought back a nasty cold from my trip to Chicago, despite all that diligent hand-washing. It knocked me out for the week. All I could muster was laying around watching post-season baseball. My brain is working a little better today. 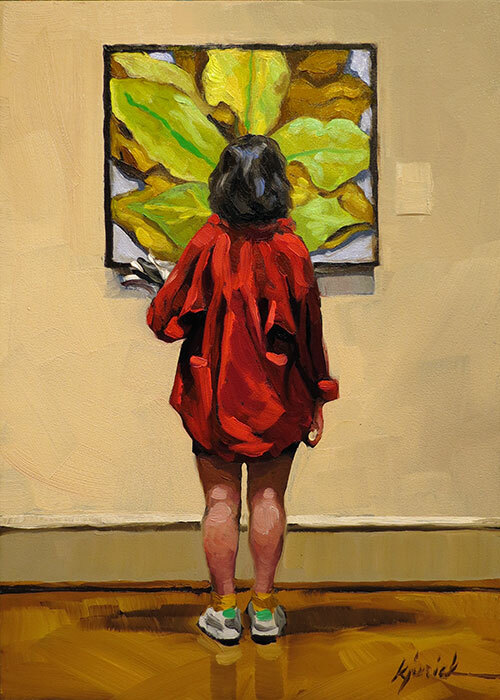 Back to the paints with this new piece - a young woman admiring Georgia O'Keeffe's 'Yellow Hickory Leaves with Daisy' in the Art Institute of Chicago.